Have you ever heard of Google My Business, Yahoo Local Directory, or searched for a service professional in your area on Bing Maps or your favorite map tool? 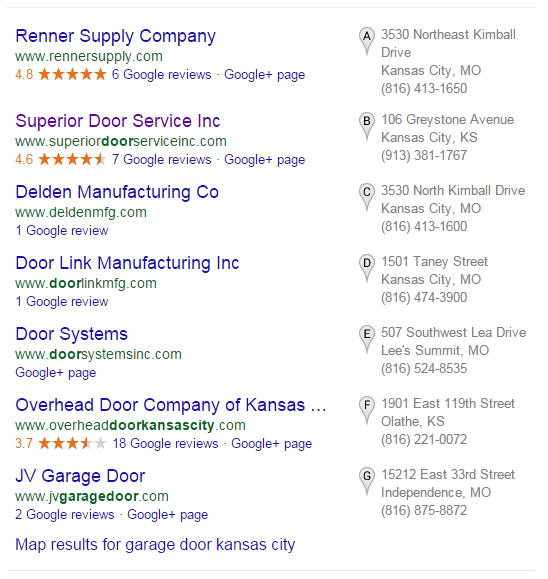 That is our client Superior Door Service in the #2 spot for this very competitive keyword. Local Kansas City search engine optimization can be very difficult if your business is located outside the Kansas City metro area. If you address is in KCMO, then you are more likely to come up in a search phrase with Kansas City in it. However, if you own a business in Parkville, Lee’s Summit, Overland Park or Olathe, you probably still want to come up for KC search phrases, but it is going to be a lot more difficult. 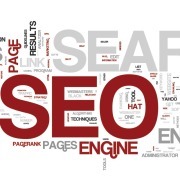 Great local search engine optimization is the fastest way to the first page of Google! That is especially true for competitive businesses looking to do business around the Kansas City metro area. Google continues to attach more organic ranking factors to map listings, reviews are become more crucial, and Google+ activity can help as well. 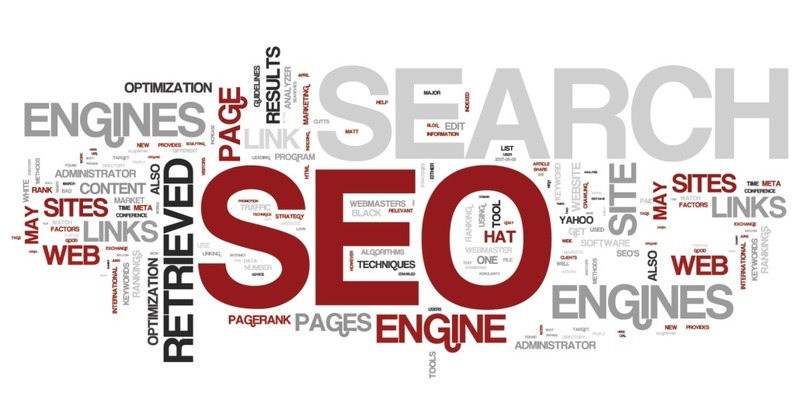 At MIMO Solutions, we offer full service G+ optimization, local search engine optimization, directory listing fixes and building combine with advanced local SEO techniques to help you get those coveted Kansas City rankings. Call us today for a free analysis and consultation of your local Kansas City map and directory listings.